My fashion blog is for fashion stylings typically.. Anyone who knows me knows I’m not shy or quiet but I do keep things to myself….. So excuse me why I rant a lil bit…. I do not know how to put into words my frustration with sl contests. I enter i get only so far then bam… I’m done. Its not a bad thing i love doing them I am just kicking and knocking on every door I come across and its like I don’t have the golden ticket just yet… Eventually someone will give it to me lol.. This entry was posted in Favorites on November 3, 2015 by Blue Porchers. I have some good news to share with you. This will be quick, short, and to the point. It’s way past time for me to sleep to get ready to walk at the Graduating Production Class of L’Amour taught by Ava Jhamin. I have the honor and privilege to participate in this Fashion Show by the Graduating Production Class. I hope you can join us in presenting the designs of Studio A/Belladonna Couture by AbbyRose Abbot, and Prism Designs by Journey. Thank you and have a good time! 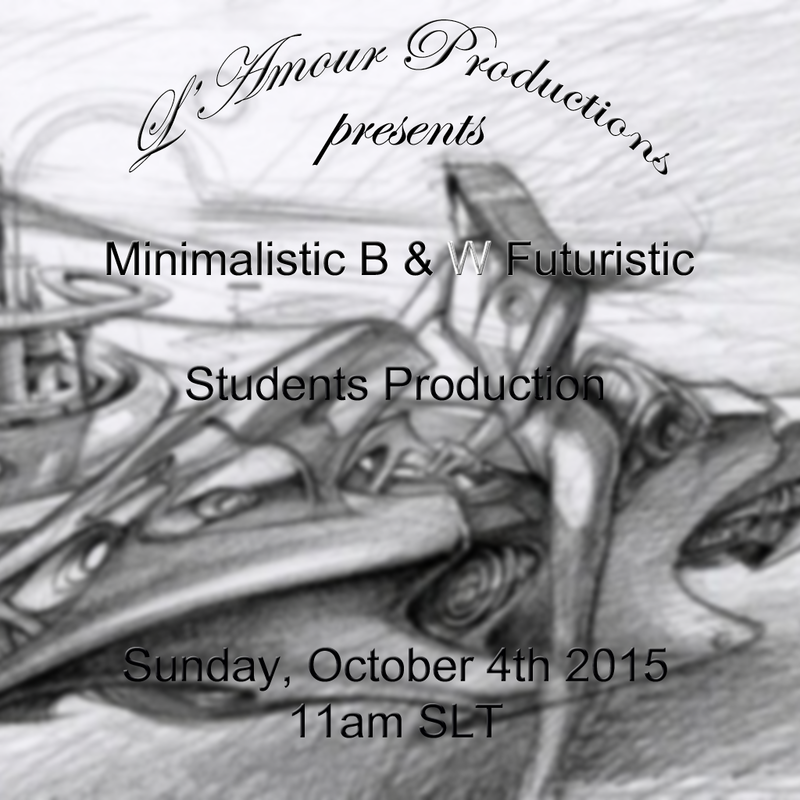 This entry was posted in Favorites and tagged ABBYROSE ABBOT, Av, Ava Jhamin, Avatar, Avi, Black, Blue Porchers, Designs, Fashion, Fashion Show, Futuristic, Journey, L'Amour, MAKEUP, Prism Designs, Productions, SECONDLIFE, Studio A/Belladonna, White on October 4, 2015 by Blue Porchers. This entry was posted in Favorites on May 22, 2015 by Blue Porchers.